Protect it with a health insurance plan. 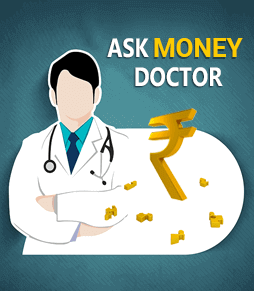 You have to pay a sum of money (Health insurance premium), to avail a health insurance policy. Your medical bills will be paid back to the extent you have insured yourself (premium you have paid). The health insurance plan pays your hospitalization expenses/bills, if you are hospitalized for at least 24 hours. You can also take a health insurance plan for your family under the family floater plan. A health insurance plan has a waiting period of 1 month after you avail it. The health insurance plan will not pay your medical bills for any disease you contract, within a month of taking up the health insurance plan. You are hospitalized after a week of availing the health insurance plan .When the hospital bill is presented you get a nasty shock. Your bills are not settled by the health insurer as you are hospitalized within a week of availing your health insurance plan. You are covered by the health insurance plan only a month after availing it. All you have to do is show your health insurance card at the hospital. You get free treatment, at any of the network hospitals under the health plan. The health insurance plan offers you health insurance across your lifetime, as long as you pay the health insurance premiums. Health insurance plans offer first time buyers, the option to enter health insurance plans, even at 65 years of age. Premiums on health plan, tax deductible up to INR 25,000 a year. If you are under 60 years. If you are over 60 years, it is INR 30,000. You can buy the health insurance policy for any family member, children and even your parents. You/ Proposer need to be above 18 years. You get coverage upto 65 years of age, which varies from Company to Company. Individuals who propose to have insurance whose age is 46 years and above, have to undergo medical tests at designated diagnostic centers. What if you have a pre existing disease before availing the health insurance plan? A pre existing disease is a disease that exists before availing the health insurance plan.Life style diseases like diabetes or heart ailments are common pre existing diseases. You are covered for pre existing diseases only 2-4 years after you avail the health insurance plan. This depends on the type of health insurance plan you avail. Will the health insurance plan pay your hospital room rent if you opt for an expensive room? Your health insurance plan does pay for the hospital room charges , but only up to a limit called a sublimit. The health insurance plan would pay up to INR 1000 per day for the room rent depending on the health plan you take. If your hospital room rent exceeds this amount, you have to pay it from your own pocket, called an out of pocket expense. Your health insurance plan might not pay for certain surgical procedures you might undergo and you have to pay this from your own pocket. If you are a senior citizen will the health insurance plan pay for the total hospitalization expenses you incur? If you are a senior citizen, then your hospitalization expenses will be very high and possibly frequent. The health insurance plan will cover you only under the co payment clause.You will have to pay part of the hospitalization expenses yourself, and the health insurance plan will pay the remaining amount. This could be determined at the time you avail the health insurance plan, as a fixed percentage. You will have to pay say 10% of the hospitalization expenses yourself, and the health insurance plan will pay the remaining 90%. Individual Health Insurance Plan:This is designed to cover an individual against various illnesses with cashless hospitalization and other add-on features. 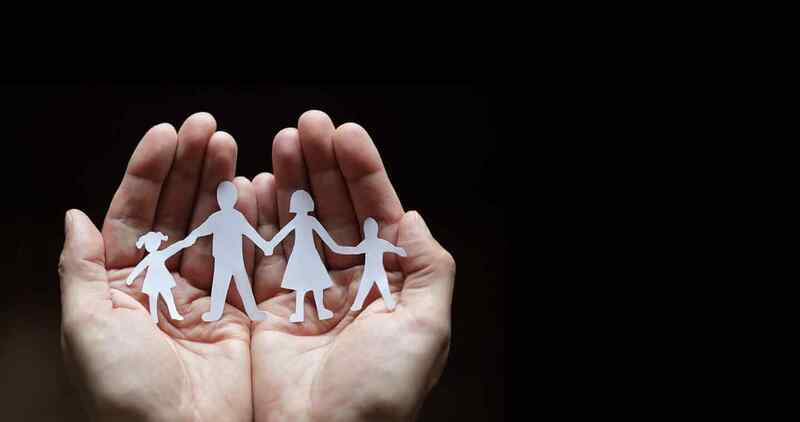 Family Floater Insurance Plan:With this plan, you can cover all your family members against diseases under a single policy. Surgery and Critical Illness Insurance Policy:This is usually brought as a standalone policy, or as a rider in case of treatment against serious illnesses like cancer, kidney failure, heart attack, paralysis and so on. As the treatment of such diseases is expensive, the premium is also on a higher side. Senior Citizen Health Insurance Plan:This offers to protect you from health issues during your old age. According to IRDA norms, every insurer must provide cover for people up to the age of 65 years. Preventive Healthcare:Undoubtedly health care is expensive and who wants to fall sick. So now insurers' have preventive health care that offers to take care of you and not let you fall sick. This includes preventive care treatments like regular checkups, consultation charges and other tests or x-ray fee concessions. The idea is to monitor your health at timely intervals and provide overall health care benefits. Health insurance come under Life Insurance and is also commonly called "medi claim" policies.Health insurance protects you and your dependants against any financial constraints arising on account of a medical emergency. Cashless settlement:Some health insurance provides you with cashless settlement, which means you can get admitted to a hospital and undergo treatment without paying anything to the hospital except displaying your medical insurance card to the concerned person. The insurance company will settle all your expenses with the hospital. Thinking of buying a Health Insurance? Healthcare is expensive. Technological advances, new procedures and more effective medicines have driven up the cost of healthcare. This increase has to be borne by the consumer, making treatment unaffordable for too many. Health Insurance overcomes these obstacles so that you remain free of anxiety regarding your health. Think for a moment about the enormous medical costs you would incur if you suffered a major accident tomorrow or were suddenly stricken by an illness. Uninsured people live with such risks every day. Health insurance seeks to shield you from that risk. It provides the much needed financial relief. You also get tax benefit under section 80D of the Income Tax Act. 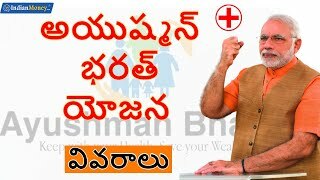 Are there any tax benefits that one can avail on purchasing Health Insurance? Yes, there is a tax benefit available under Section 80D of the income tax act 1961. Every tax payer can avail an annual deduction of Rs. 15,000 from taxable income for payment of health Insurance premium for self and dependants. For senior citizens, this deduction is up to Rs. 20,000. To Know the extent of your tax benefit, call us on 080 67974000. Yes, you can have more than one Health Insurance policy. In case of a claim, each company will pay ratable proportion of the loss. Enlist some of the important exclusions under mediclaim policy? Some general exclusion's under this policy are: 1. Pre-existing diseases i.e. Any condition, ailment or injury or related condition(s) for which insured person had signs or symptoms and/or was diagnosed and/or received medical advice/treatment within 48 months prior to his/her health policy with the company. 2. Any disease contracted during the first 30 days of inception of policy except in case of injury arising out of accident. 3. Certain diseases such as cataract, piles, hernia, and sinusitis etc. are excluded for specified periods if contracted or manifested during the currency of the policy. 4. Injury or diseases directly or indirectly attributable to war, invasion, act of foreign enemy, war like operations. 5. Cosmetic, aesthetic treatment unless arising out of accident. 6. Cost of spectacles, contact lenses and hearing aids. 7. Dental treatment or surgery of any kind unless requiring hospitalization. 8. Charges incurred at Hospital or Nursing Home primarily for diagnostic, x-ray or laboratory examinations, without any treatment. 9. Naturopathy or other forms of local medication. 10. Intentional self-injury / injury under influence of alcohol, drugs 11. Diseases such as HIV or AIDS. 12. Expenses on vitamins and tonics unless forming part of treatment for disease or injury as certified by the attending physician. 13. Convalescence, general debility, run-down condition or test cure, congenital external diseases or defects or anomalies, sterility, venereal disease. No, the medical checkup has to be taken only once, during the inception of taking a policy and only if you are 46 years of age or above. What information one needs to furnish while intimating a claim? Third Party Administration (TPA) is a service given to a Mediclaim policyholder by providing cashless facility for all hospitalizations that come under the scope of his/her Mediclaim policy. To know more about Health plan for free, call us on 080 67974000. Health insurance policies are available from a sum insured of Rs 5000 in micro-insurance policies to even a sum insured of Rs 50 lakhs or more in certain critical illness plans. Most insurers offer policies between 1 lakh to 5 lakh sum insured. As the room rents and other expenses payable by insurers are increasingly being linked to the sum insured opted for, it is advisable to take adequate cover from an early age, particularly because it may not be easy to increase the sum insured after a claim occurs. 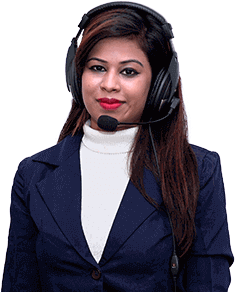 Also, while most non-life insurance companies offer health insurance policies for a duration of one year, there are policies that are issued for two, three, four and five years duration also. Life insurance companies have plans which could extend even longer in the duration. A Hospitalization policy covers, fully or partly, the actual cost of the treatment for hospital admissions during the policy period. This is a wider form of coverage applicable for various hospitalization expenses, including expenses before and after hospitalization for some specified period. Such policies may be available on individual sum insured basis, or on a family floater basis where the sum insured is shared across the family members. Another type of product, the Hospital Daily Cash Benefit policy, provides a fixed daily sum insured for each day of hospitalization. There may also be coverage for a higher daily benefit in case of ICU admissions or for specified illnesses or injuries. A Critical Illness benefit policy provides a fixed lumpsum amount to the insured in case of diagnosis of a specified illness or on undergoing a specified procedure. This amount is helpful in mitigating various direct and indirect financial consequences of a critical illness. Usually, once this lump sum is paid, the plan ceases to remain in force. There are also other types of products, which offer lumpsum payment on undergoing a specified surgery (Surgical Cash Benefit), and others catering to the needs of specified target audience like senior citizens. Health insurance comes with attractive tax benefits as an added incentive. There is an exclusive section of the Income Tax Act which provides tax benefits for health insurance, which is Section 80D, and which is unlike the section 80C applicable to Life Insurance wherein other form of investments/ expenditure also qualify for the deduction. Currently, purchasers of health insurance who have purchased the policy by any payment mode other than cash can avail of an annual deduction of Rs. 15,000 from their taxable income for payment of Health Insurance premium for self, spouse and dependent children. For senior citizens, this deduction is higher, and is Rs. 20,000. Further, since the financial year 2008-09, an additional Rs 15,000 is available as deduction for health insurance premium paid on behalf of parents, which again is Rs 20,000 if the parents are senior citizens. What is 'Any one illness'? What is "health check" facility? Critical Illness Health Insurance - How To Choose The Best Critical Illness Insurance Plan? Why You Should Consider a Cancer Care Plan? Smoking - ನೀವು ಧಮ್ ಎಳೆದ್ರೆ ಅವರಿಗೆ ಕಾಸು, ನಿಮಗೆ ಲಾಸು! 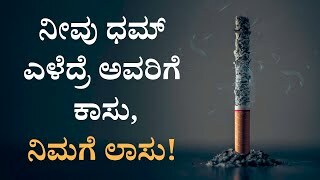 Smoking - ಧಮ್ ಎಳೆದು ಎಳೆದು ನಿಮ್ಮ ಜೀವನನೇ ಹಾಳು ಮಾಡ್ಕೋಬೇಡಿ! When should you opt for a floater health plan? The idea behind a family floater plan is that an individual, spouse and children are covered for the policy period without a specific limit on each member. If you are married, it is recommended to consider a floater plan. Under this plan, the premium amount is dependent on age and health status of the eldest member of the family. A doctor is responsible for a patient and has certain obligations when a patient consults him for an illness. A deficiency in duty results in negligence. Not every unsuccessful treatment leads to medical negligence. Medical negligence arises when a doctor doesnt do his duty and harms the patient either by not acting in a timely manner or by engaging in unfair practices.